Institute of Geodesy was established by resolution of Scientific Council of Vilnius Technical University on January 29, 1992. Activities of Institute of Geodesy are mostly related to establishment of National Geodetic Reference and solution of related scientific problems. 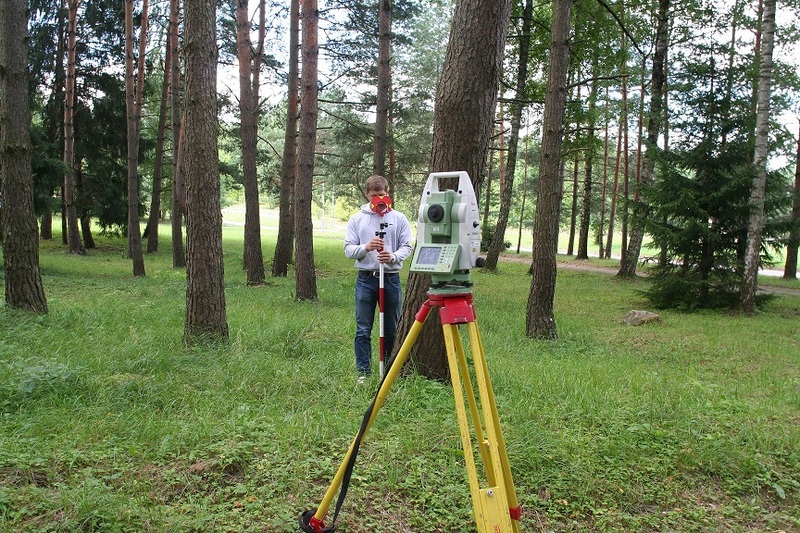 To take part in activities of Institute of Geodesy are invited teachers of Department of Geodesy and Cadastre, PhD and Master Degree students, students of Geodesy speciality and specialists of production organisations. Some activities are performed in close cooperation with specialists from abroad. Temporary groups are created for research and supervisors, qualified contractors and consultants are selected. Calibration laboratory was established at the Institute in January 31, 2000. Calibration laboratory was awarded with accreditation certificate by Lithuanian National Accreditation Bureau in 2001. Scope of accreditation – Calibration of EDM instruments and testing of portable distance meters. Eimuntas Kazimieras Paršeliūnas. Member of theInternational Federation of Surveyors (FIG). Eimuntas Kazimieras Paršeliūnas. Member of the Nordic Geodetic Commission Working Group of Geoid and Height Systems. Eimuntas Kazimieras Paršeliūnas. Member of the Scientific Organizing Committee of 2017 Baltic Geodesy Congress (Geomatics). Eimuntas Kazimieras Paršeliūnas. Member of the Public Council for the Development of Geodesy, Real Estate Cadastre and Land Use Planning Document Development. Algirdas Neseckas. Member of the Working Group on Geodesy and Cartography of Technical Requirements for drafting regulations. The National Land Service within the Ministry of Agriculture. Romuald Obuchovski. Member of the Working Group on Geodesy and Cartography of Technical Requirements for drafting regulations. The National Land Service within the Ministry of Agriculture. Raimundas Putrimas. Member of the Working Group on Geodesy and Cartography of Technical Requirements for drafting regulations. The National Land Service within the Ministry of Agriculture. Dominykas Šlikas. Member of the Working Group on Geodesy and Cartography of Technical Requirements for drafting regulations. The National Land Service within the Ministry of Agriculture. Eimuntas Kazimieras Paršeliūnas. Editor-in-Shief of the science Journal „Geodesy and Cartography“.